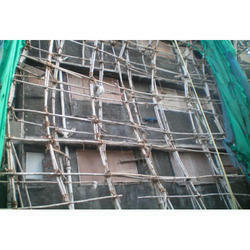 We are a leading Manufacturer of polymer admixture repairs and polymer admixture rehabilitation from Thane, India. Years of experience and understanding of this domain, has helped us in presenting the best quality of Polymer Admixture Repairs. Used as bonding agent and seal coat, the polymer admixture is processed by using high grade ingredients. Known or its resistance against adverse weathering conditions, the Polymer Admixture For Repairs & Rehabilitation is provided with standardized packaging for hassle-free transportation at the patrons’ end. With the assistance of our team of qualified professionals, we are actively engaged in offering supreme quality Polymer Admixture Rehabilitation. The offered polymer admixture is widely praised among customers for its purity quality. This polymer admixture is processed by utilizing top-notch quality ingredients as per the set industry norms under the observation of our experts. Additionally, patrons can avail this polymer admixture from us at market rates.